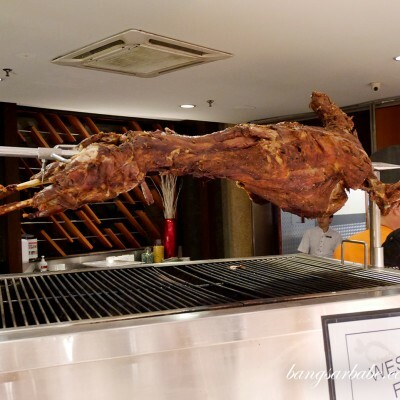 For the first time in years, rif and I didn’t travel over the long weekend so we decided to visit the Ali, Muthu & Ah Hock in Kuala Lumpur, the second outlet after the original spot in Oasis Damansara. 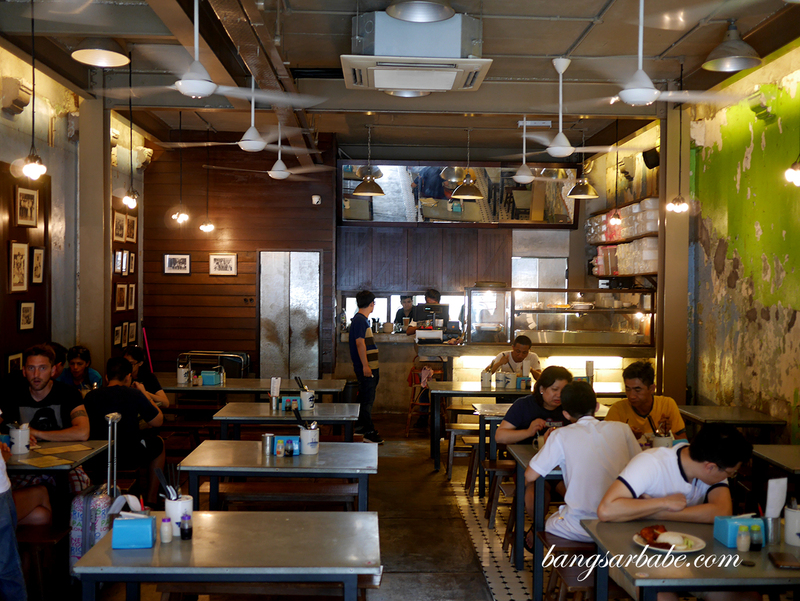 I find the outlet in KL more old school with its scruffy-looking walls which gives it an old kopitiam feel. 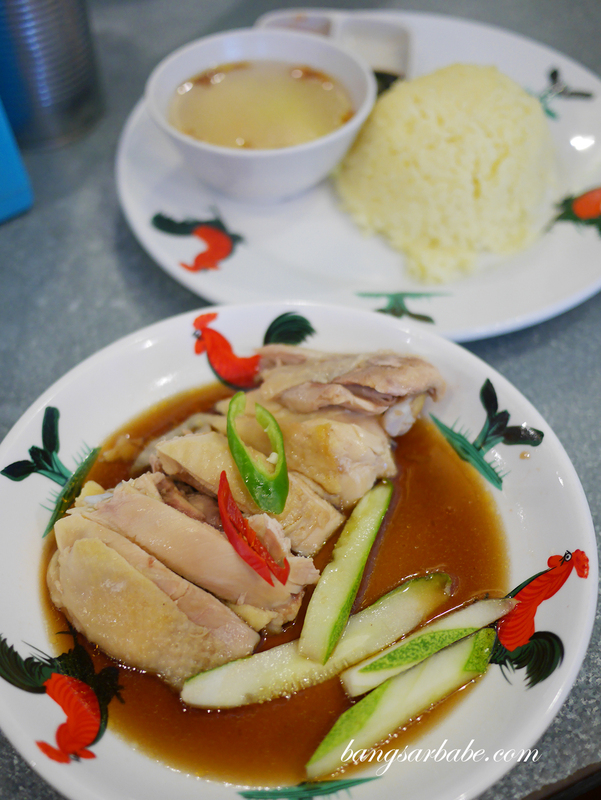 Ali, Muthu & Ah Hock’s menu features traditional Malaysian favourites such as the nasi lemak ayam, mee goreng, Hainanese chicken rice and chee cheong fun. The place packs up quite quickly especially on a weekend, so getting there before the lunch (and sometimes brunch) crowd kicks in would be wise. 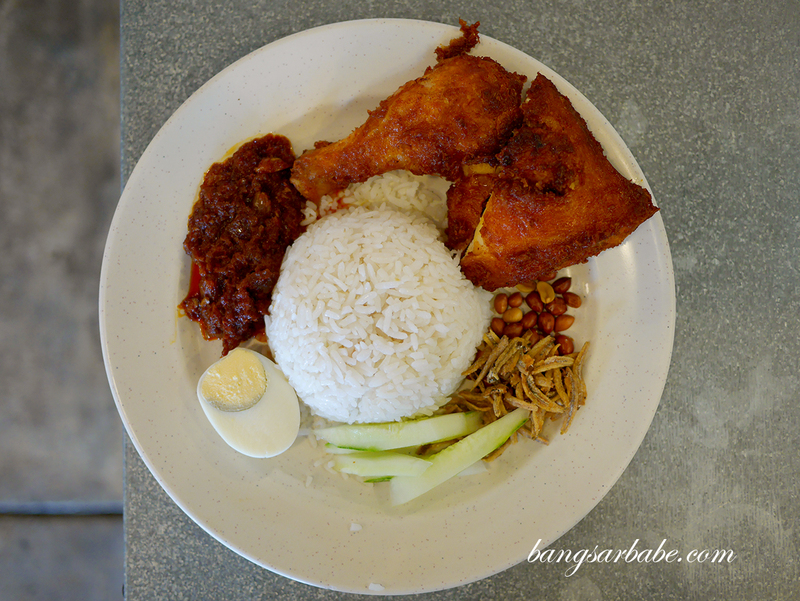 Nasi Lemak with fried chicken (RM11) is always a good idea here and I find the one in this outlet tastier compared to the one in Oasis Damansara. The fried chicken is done better where the batter didn’t separate from the meat so you get the crunch as well as the juicy tenderness of the chicken. 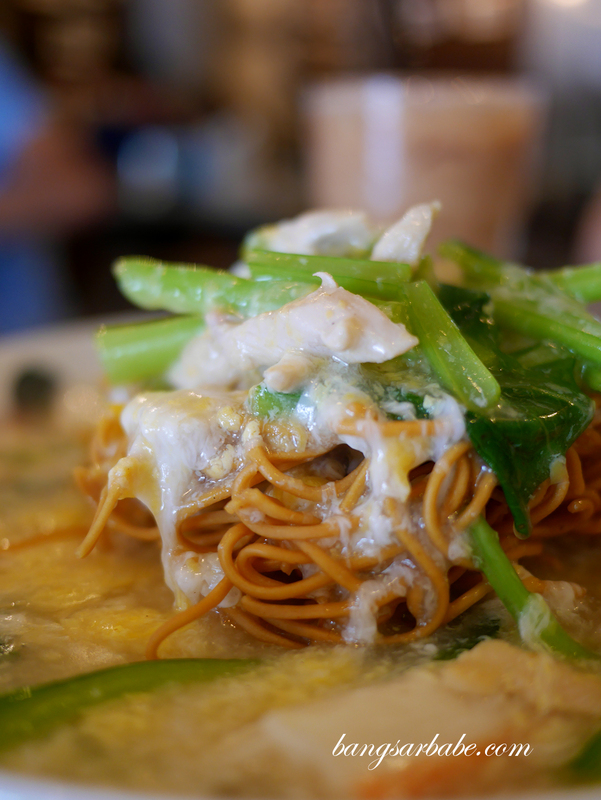 I particularly enjoyed the Cantonese fried noodles (RM9) – egg noodles are used by default but if you would like to switch, do inform the staff upon ordering. 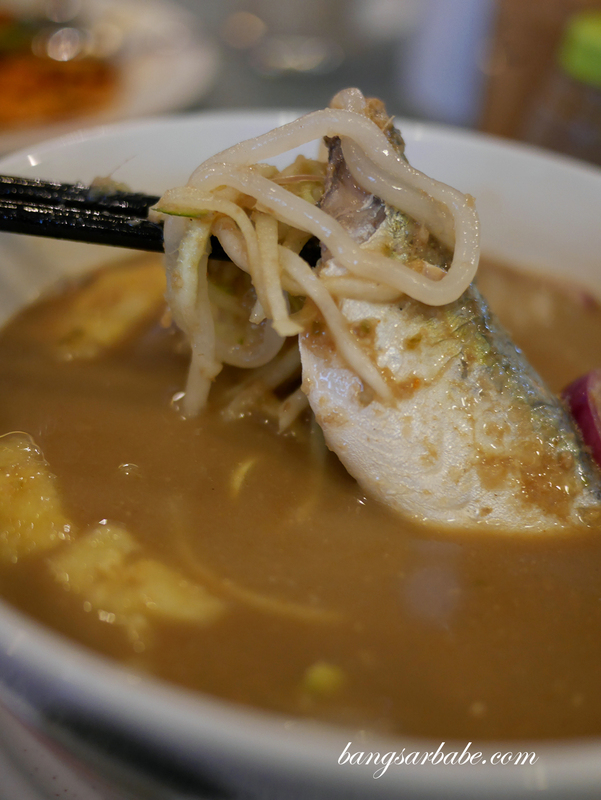 The gravy is thick and eggy, with just enough wok hei for flavour and aroma. 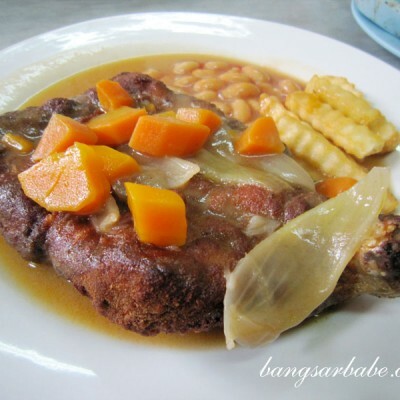 I didn’t care much for the Hainanese chicken chop (RM15) but rif on the other hand enjoyed it. The sauce was a tad overpowering in terms of ketchup flavour so there wasn’t much taste I could enjoy in the chicken. 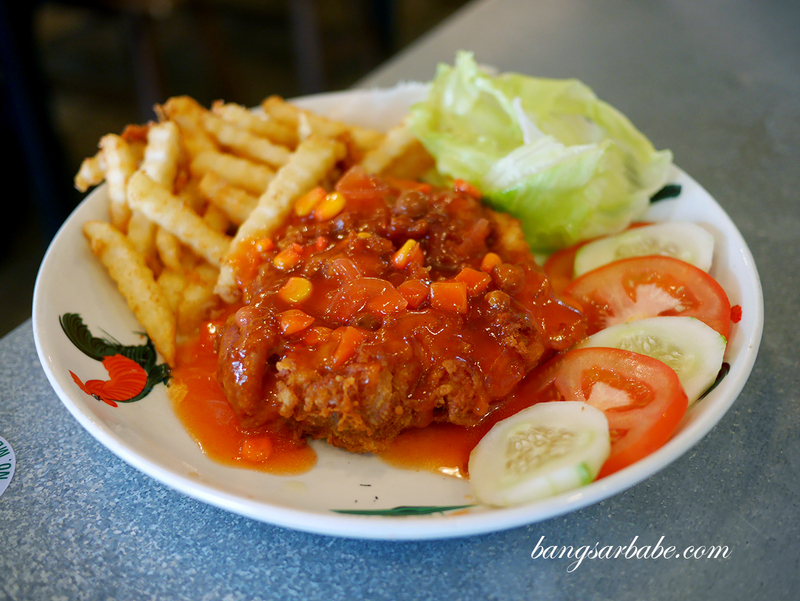 The accompanying fries were pretty good stuff – crispy and light at the centre. We returned the following day to try the Hainanese Chicken Rice (RM9) and Mee Goreng Muthu (RM9), both of which were good in their own right. The chicken was smooth and well-seasoned, though the rice could have been more fragrant. Do inform the waiter of your meat preference (drumstick, breast, wing) beforehand as they tend to serve you with whichever cut is available in line. I’m quite picky about this matter so I always specify what I want. 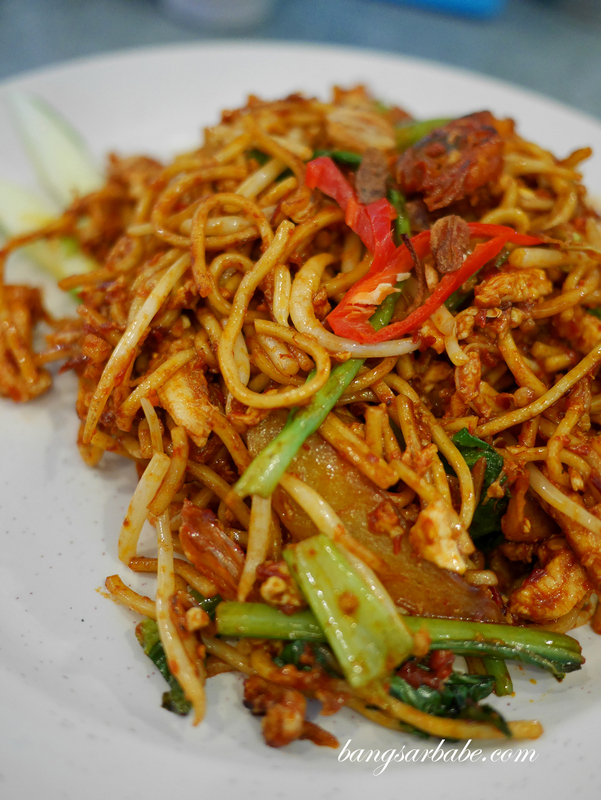 Mee Goreng Muthu was good stuff though I reckon some folks might find it too spicy. 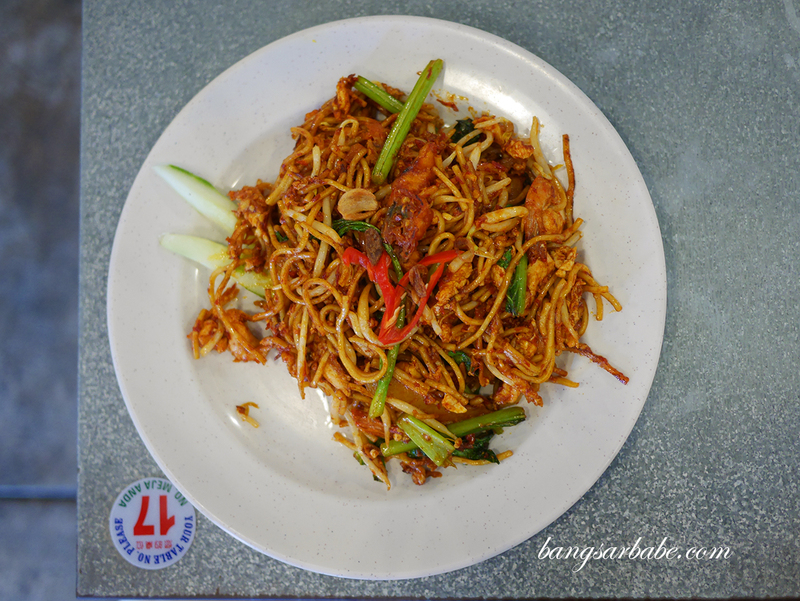 It is spicier than your average mee goreng and tastier that most. If you need them to tone down on the chilli, inform them beforehand. They sometimes forget the lime in this dish so if you’re short of one, remind them. 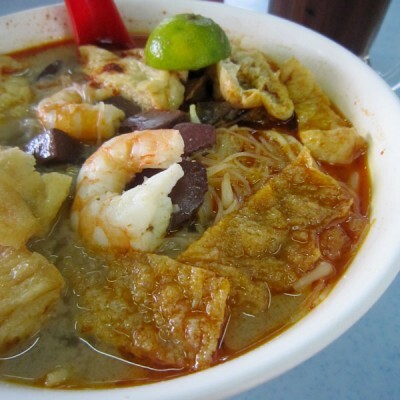 My in-laws tried the chee cheong fun (RM4) and Nyonya laksa (RM9), both of which were average. 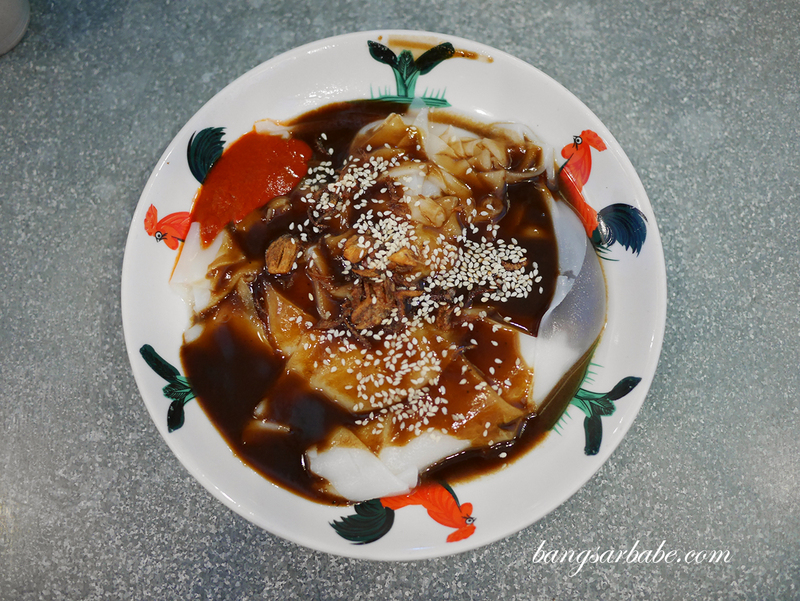 I didn’t try the chee cheong fun but had a spoon of the Nyonya laksa which paled in comparison to the outlet in Oasis Damansara. 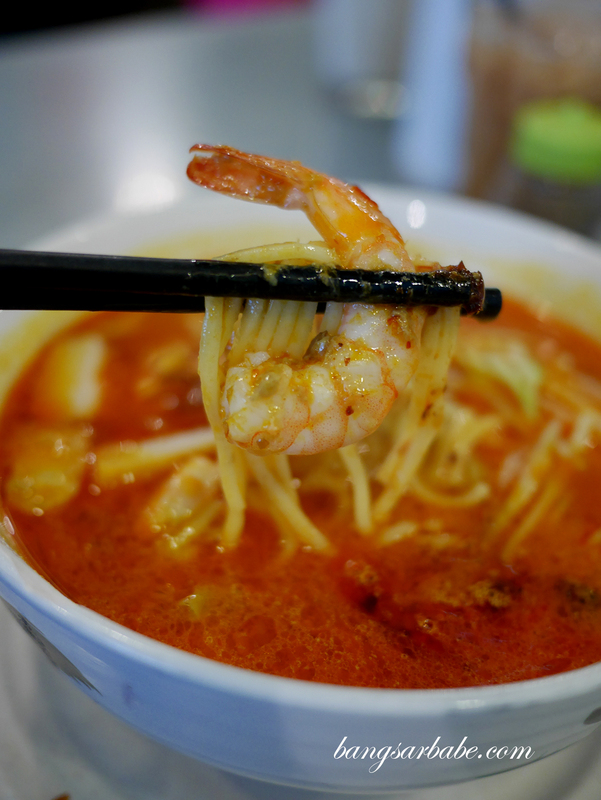 The asam laksa (RM9) was also nothing to shout about; it had a strong fishy taste but one that was one-dimensional. 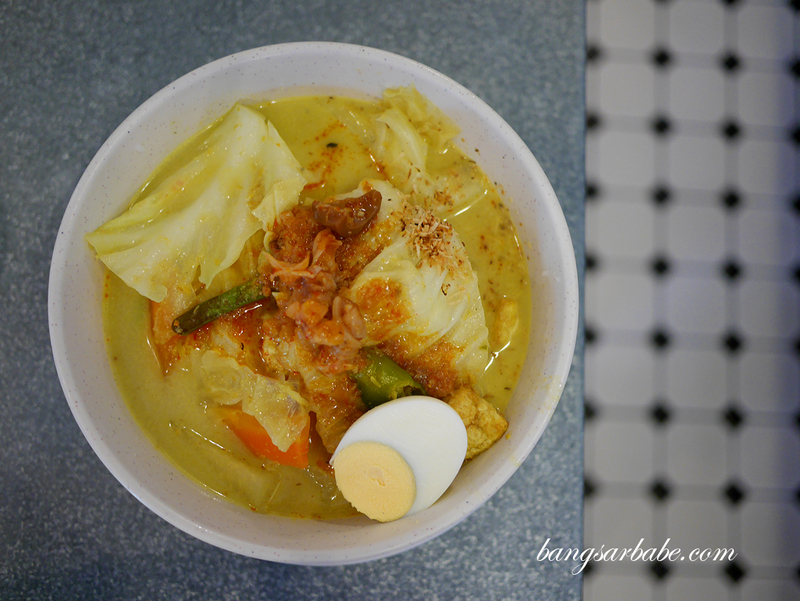 Lontong (RM9) is also available here but note that Ali, Muthu & Ah Hock’s version is more diluted and less “lemak” compared to the one I’m accustomed to. Tastewise, it is slightly on the sweet side. 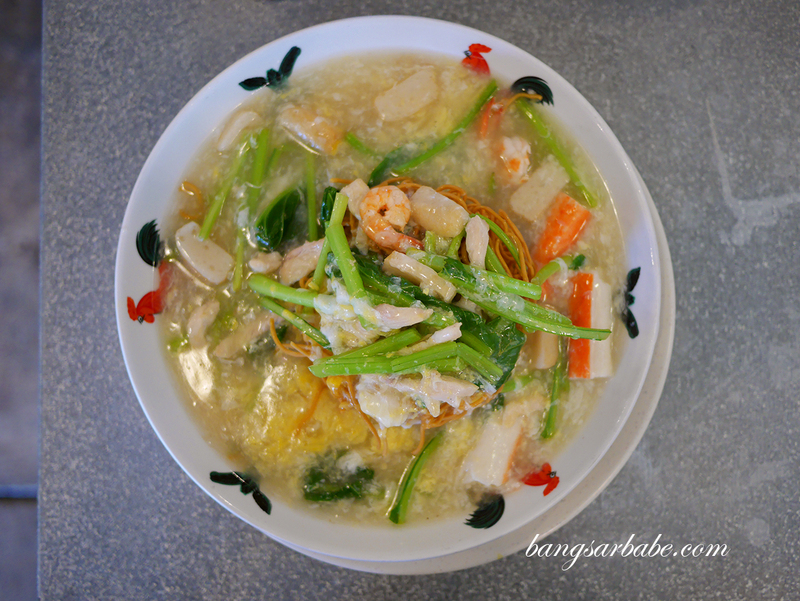 The in-laws feel they went overboard with the udang kering (dried shrimp) hence the sweetish base. 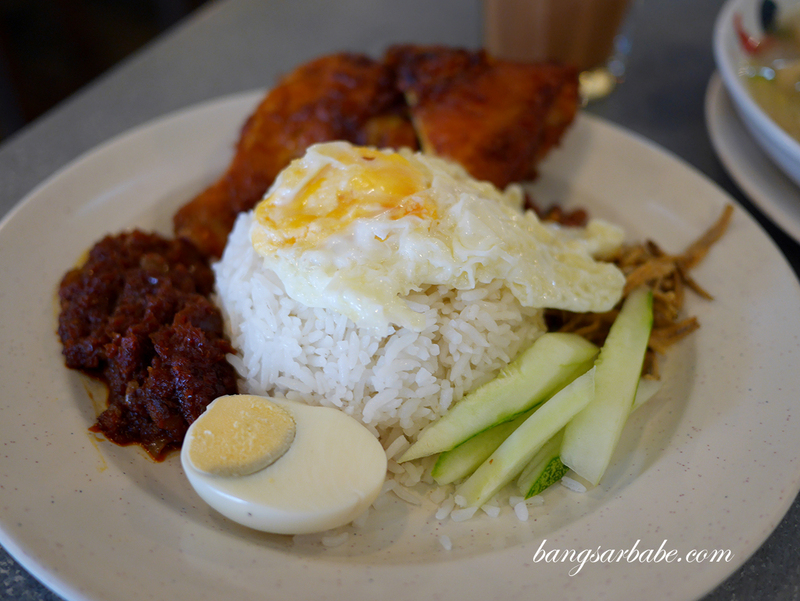 Verdict: The nasi lemak and mee goreng is worth checking out, but skip the asam laksa.